Dallas’ I.M. 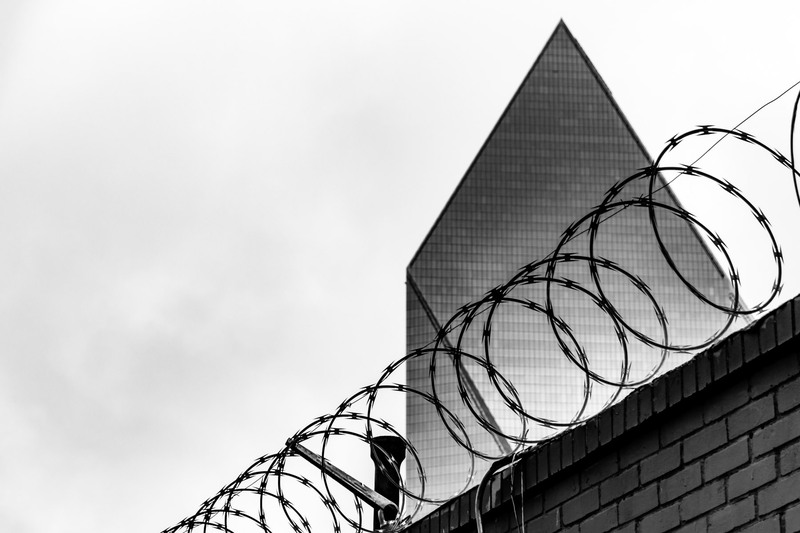 Pei-designed Fountain Place, as seen behind a nearby concertina wire-topped wall. 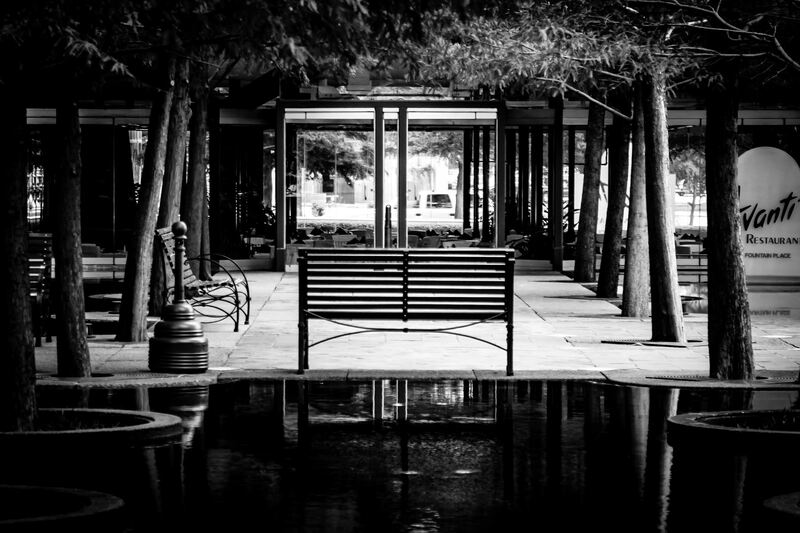 A bench in a water garden at Dallas’ Fountain Place.